Last October, Charanga VIP Studio Session’s Max Wheeler hosted a lively panel debate at the Music & Drama Education Expo. The discussion titled ‘Supporting the 21st Century Musician’ explored how to engage today’s KS3 and KS4 classroom and how to increase uptake of GCSE. We are delighted that this is now available online on the Youth Music Podcast. 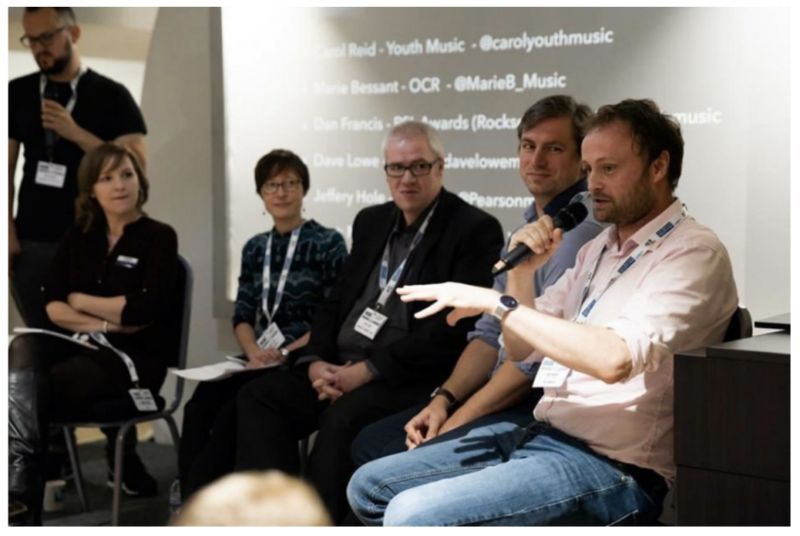 The panel features key people from music education including OCR, AQA, Rockschool RSL, Pearson and Youth Music themselves: Max Wheeler, Marie Bessant, Dave Lowe, Dan Francis, Jeffery Hole and Carol Reid. Listen and subscribe to the Youth Music Podcast. To find out more about VIP Studio Sessions start a free 30-day trial here.